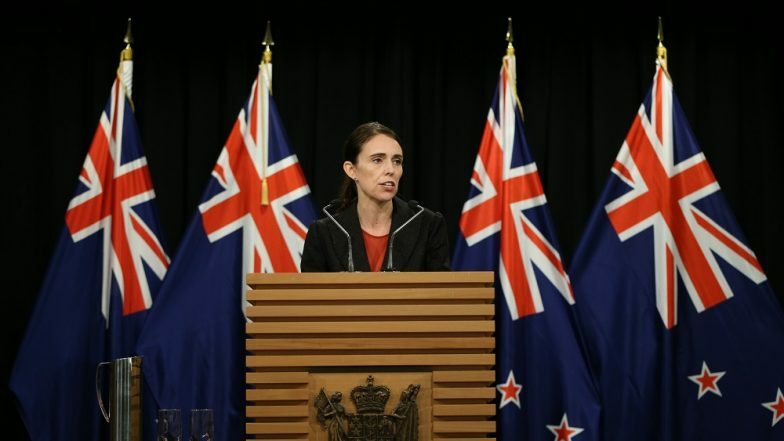 Wellington, March 22: The New Zealand Police said on Friday that it was probing death threats sent to Prime Minister Jacinda Ardern on social media. A Twitter post containing a photo of a gun and captioned "You are next" was sent to the Prime Minister earlier on Friday, The New Zealand Herald reported. The post had been up for more than 48 hours before the sender's Twitter account was suspended before 4 p.m. after it was reported by various people. Another post tagged to Ardern and the New Zealand Police had the same photo with "next it's you". The suspended account contained anti-Islamic content and white supremacist hate speech. A police spokesperson told The New Zealand Herald: "Police are aware of a comment made on Twitter and are making enquiries." A Twitter spokesperson said the micro-blogging site's rules prohibit violent threats. New Zealand PM Jacinda Ardern Shows Solidarity to Muslim Community. "We took action shortly after we received the first report on this tweet, and our teams continue to work pro-actively to remove violative and illegal content from the service in relation to the Christchurch attack. New Zealand Terror Attack: Brenton Tarrant Sent Manifesto to PM Jacinda Ardern Minutes Before Shooting. "We also continue to cooperate with law enforcement to facilitate their investigations as required," the spokesperson said. The development come a week after 50 people were killed on March 15 by a lone gunman who went on a shooting spree at two mosques in Christchurch.